With so many movers in Singapore, now you may be asking in the front of this screen: which mover should I choose for my home move / office move? To ensure you will find a mover that can serve all your needs well, you are recommended to consider these aspects. Before you start your search for a mover, you need to understand your needs first. 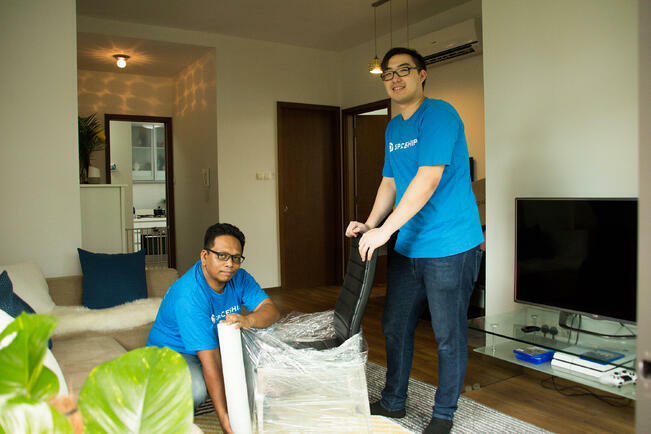 Depending on your requirement of service and budget, you have mainly three tiers of movers in Singapore: premium movers, mass market movers and freelancers. Freelancers are movers who mainly help move items from point to point. Their prices are low and usually do not help with pre-move and post-move tasks such as dismantling, assembly and wrapping. If you do not have many items, they are an economical choice. Mass market movers in Singapore offer quite comprehensive services including moving, wrapping and dismantling. They also provide packing materials. For home moves or office moves that do not require premium service, they are great choices. Some famous mass market movers in Singapore are Shalom Movers and KNT Movers. Premium movers in Singapore bring all services provided by a standard mover to a new level and specially assign a dedicated supervisor to oversee the whole process and entertain customer requests on the spot. Some big names in Singapore are Santa Fe and Crown. Your residential move or office move unavoidably carries risks such as item damage, item loss or time delays. There are other uninformed issues such as packing bulky or odd-sized items and needing temporary item storage. Therefore, there are many more aspects for you to consider other than prices. Depending on the overall volume of items to be moved, the distance between two locations and the efficiency of movers, different moving companies may charge quite differently. This highlights the importance of getting and comparing several quotations from different companies to ensure you are not paying for more than needed. You also need to pay attention to details in different quotations, since some companies may charge for packing service, insurance and packing materials, while others offer them for free. Expertise in dismantling, wrapping and assembly of furniture is critical for your home move for two major reasons. Firstly, proper wrapping adds an extra layer of protection for your items during the bumpy transition from the old place to the new place. Secondly, proficiency in these tasks can effectively reduce the time spent on wrapping, assembly and dismantling so you can have some leeway for unexpected incidents such as traffic jam that may delay your move. To check on this, you can ask site survey about the moving staff's experience and their training programs. What you want to avoid by all means is item damage or loss, since some items once broken may never be recovered. Can you imagine what would happen if your PC were damaged during the move? What if your work-related data or your photos that preserve your precious memories were forever lost? Therefore, you should check if the mover has a track record of safe moving. Some incidents occured that the mover never showed up on the scheduled date and time or the moving company only sent one person for your moving which was apparently not enough. You should confirm these details before you sign the service contract. This aspect may not be a must but it is always good to have. When we are facing friendly faces, we will feel more comfortable working together and asking for help. For premium moving services, one designated supervisor will come to oversee the whole process to ensure all your needs are served and all your unexpected problems can be settled properly and timely. Based your budget and needs, you can consider this option. A moving often means a need for temporary storage service. Previously, you may need to spend extra time searching for a storage service, but now some moving companies can help with that. 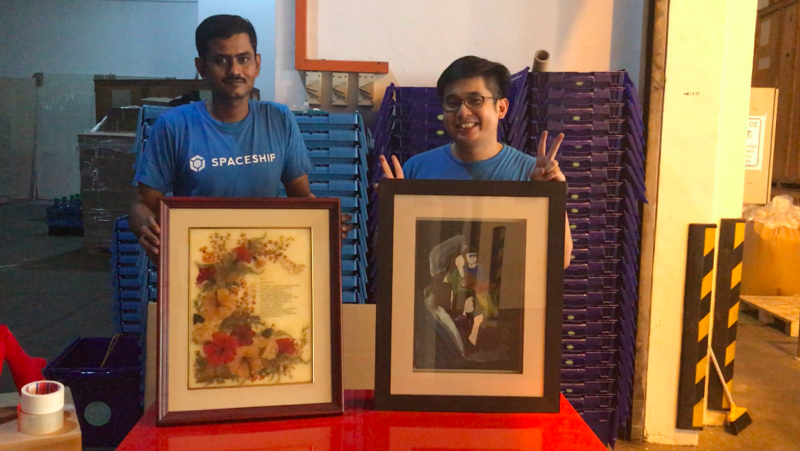 With the leading and innovative storage service in Singapore, Spaceship takes pride in offering flexible mover service and convenient storage plan. With Spaceship flagship app (Android | iOS) in your phone, you can arrange and reschedule your move without a call. You will also enjoy the benefit of managing online catalogue of your items and requesting item collection on the go.